Cutaneous, or skin, infections can manifest as rash, pustules and cysts, ulcers, scales, blisters and warts. The symptoms of fungal skin infections include: itchy, red, raised, scaly patches that may blister and ooze. The patches often have sharply-defined edges. They are often redder around the outside with normal skin tone in the center. This may create the appearance of a ring. Your skin may also appear unusually dark or light. If your scalp or beard is infected, you may develop bald patches. If nails are infected, they can become discolored and thick. Bacterial infections may arise as minor superficial breaks in the skin or deep nodules and cysts. 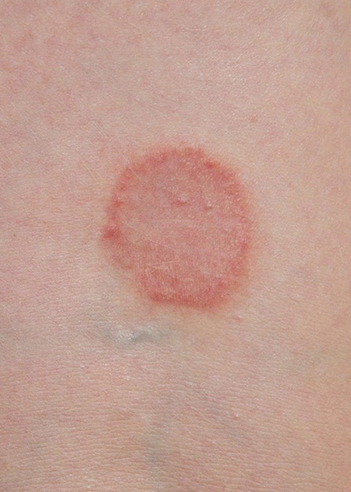 Occasionally an area can develop cellulitis, where the skin is swollen, red, tender and warm. These lesions need to be treated rapidly so that there is not spread to surrounding areas. Viral infections can be seen in many forms and symptoms as well. For any of these problems, it is important to seek treatment early to avoid systemic complications and troubles of contagiousness.